It may happen that while travelling with a pet they have to be placed into boarding kennels or a cattery, a rodent may need overnight care, but where do we find a suitable place? It may be that your car breaks down during a journey or you have an accident. Your problems are further compounded if the hotel you are booked into does not accept pets. If sleeping in the vehicle with your pet is not an option you will need to find a suitable place to board them for the short term. In an emergency local vets will be able to give treatment to your pet or take them in for the night if you cannot find a boarding kennel. Vets will come out to you if the animal is hurt or ill. The veterinary surgery should be able to help you with a local boarding kennel as they will have customers who use such places. However in the busy tourist season this may be a problem. Dogs and cats will not be accepted into boarding establishments if they do not have their vaccinations up to date. In emergencies the kennel owners may be prepared to telephone your veterinary surgery to check the details or may even board your animals away from other inmates. However, if you carry these documents, or at least have a copy of them in the car or stored as a photograph on your telephone it could save a lot of problems if an emergency should arise. When travelling to a holiday destination, even if your pet is allowed to stay with you in the rented accommodation research local veterinary surgeries and boarding kennels and catteries just in case you need their assistance during your holiday. Internet search engines will show any that are listed in the area you are visiting. Whilst on holiday it sometimes happens that you may wish to visit a tourist attraction that does not welcome pets. It is not ideal to leave a pet in a car as they can die very quickly from overheating even when parked in the shade. If you really do need to visit this place research ahead of time any kennel or other boarding establishment that does day care for pets. The theme park you are visiting may have a list of such places or the tourist advice centre. Travelling out of season it is possible to take pets into more tourist spots such as beaches and gardens. Although they are not welcome into stately home they can at least stay with you and enjoy the family holiday. Finding short term care for a rodent may be harder than boarding a cat or a dog. Ask a local veterinary surgery for advice. Alternatively try shops that sell rodents as pets as they may be able to board your pet for a few days. 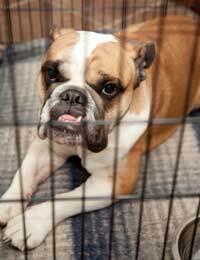 Pets should travel in cages or suitable carriers so that if an emergency arises they can be transported safely. Dogs should always be on lead so have a spare one in the car in case one is needed. When travelling with pets ensure that your breakdown cover includes the transportation of pets. It is distressing enough to have vehicle problems let alone having the recovery vehicle driver not want your pet in the cab. The alternative is to leave them in the vehicle whilst it is towed home which could be very distressing to an animal. This is always an important point to check when renewing your yearly vehicle breakdown cover. There are motels scattered throughout the UK that do accept well behaved pets. Knowing where these are in the area you are travelling could help if you needed emergency overnight lodgings. With a list in your glove compartments and a list of phone numbers you will be prepared for any problem that arises. Remember though to have food for your pets when travelling as this is something that a hotel or motel cannot help you with late at night.